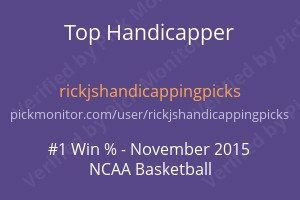 Is anyone interested in a big day wagering on College Hoops today!!! Another busy Saturday morning but have about 15 min to post before the onslaught of games begins. So far today I have sent out no plays. For the college bowl games, they start in earnest December 17th. If you want access to all my plays for the bowl games, subscribe now and in addition, you get access to all plays in all sports. The subscription options are under the PayPal menu and all have a 3-day free trial. So far in November its been a sideways month. Not much volatility up or down. We had the same type of month in November and we ended up +13 units for the month. Patience and proper money management is the key. If you have a little voice that says “I feel like gambling today” you should have a method in place to ignore it. Betting sports is a business, not a way to let off your gambling urges. 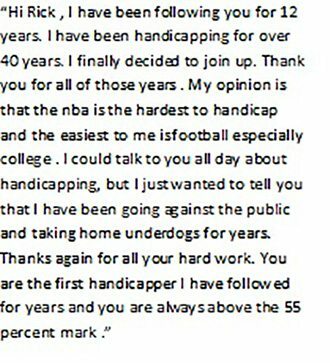 Once you learn that and harness those urges you are on your way to becoming one of the rare handicappers that beat sports year in and year out. Most never get past it. Enough rambling for me today. Back to college hoops!